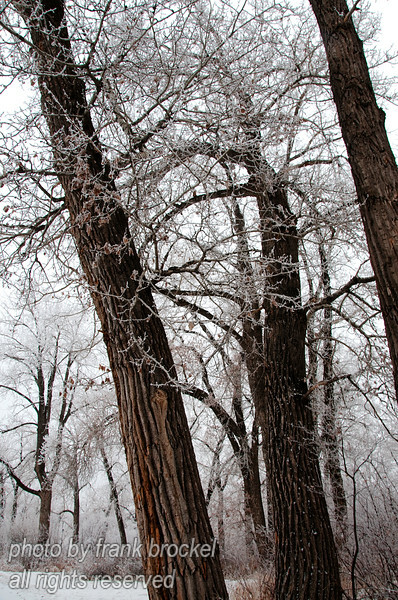 Trees covered with hoar frost after 2 days of thick fog near the zoo at the Bow River in Calgary. I liked the contrast between the white frosted branches and the dark tree trunks. These photos would look great in 11"x17" with a light/dark matte and metal frame.